Yet another compilation, released 9 Sept 2002, this time in Universal's widely-respected Introduction to ... series. (Amazon.co.uk were offering this at £7.99 for pre-order on 29 Aug 02). A fairly intelligent selection of tracks, trying to cover each of the A&M albums and no more - the crossover tracks with Collection are asterisked. Cousins tracks only, mark you (apart from Hudson/Ford's contribution to the title track, which incidentally are wrongly credited to "Round And Round", the track following). Missing out "Part Of The Union", which might be seen as a bit odd for this sort of compilation. 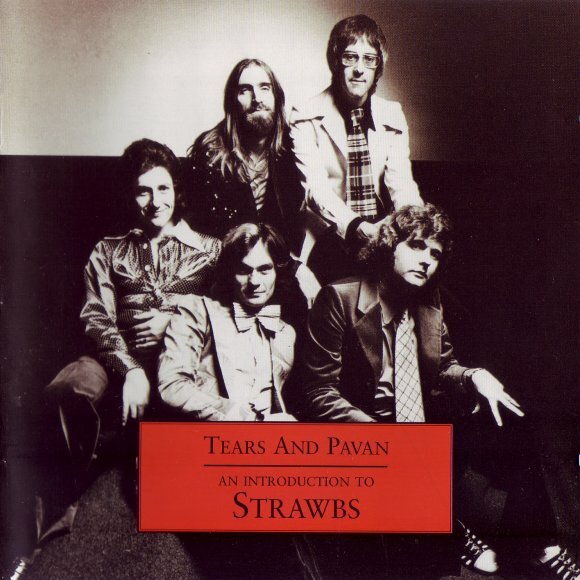 It'll be a nice start though with "New World", for me the archetypal "defining" Strawbs track, and it features a number of the epic longer Strawbs numbers - "Where Is This Dream" (the Wakeman rock version) and "Ghosts" - which perhaps give a better flavour than the shorter songs of Strawbs' classic period. Nice also to see "So Shall Our Love Die", till now one of the tracks from Nomadness which hadn't then made it onto CD. Excellent sleeve notes by Mark Powell, best and most accurate I've seen. Project co-ordination by Joe Black. Sleeve notes by Mark Powell. Digitally remastered by Paschal Byrne and Mark Powell at Audio Archiving Company Ltd. Tape research by David Lascelles at Universal Tape Facility, London. Thanks to Caroline Fisher, Jason Smith, Liam Relph, Mike Story.